"Incentivisation or incentivization is the practise of building incentives into an arrangement or system in order to motivate the actors within it." I spent my entire morning designing invitations for our wedding (they turned out great, might I add) and followed that up with some exercise and a quick run. The only thing that kept me plugging through all of this was a promise I made to award myself for my hard work. I have a 6k race tomorrow morning, so junk food was out of the question. So, my immediate next thought was, "how about a trip to the card shop?" Don't mind if I do. Unfortunately, not a lot had changed since my last visit a few weeks ago. 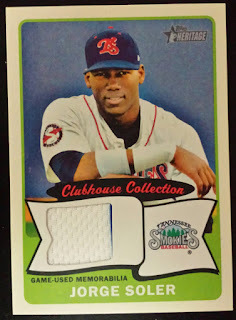 Sure there were packs of Heritage, Opening Day, Donruss and other assorted recently released product, but nothing in those checklists (that I haven't already acquired) really does it for me. Well, except for one product, that is. After seeing many a blog post about Panini Contenders, I finally decided to take the plunge myself. Even though I absolutely love the design and the potential of getting MLB players in their college uniforms certainly appeals to me, the price was a little more than I'm usually willing to spend on a single pack of cards. However, I deserved a treat and I'd already been wandering around the store for half an hour, so I felt as though I had to buy something. I braced myself for the possibility that exists for any pack of Contenders or Bowman or Elite Xtra Edition or any other pre-rookie heavy product - there might not be a single card of any person I've heard of or care about in any way. Oh hey - Corey Seager was sitting right on top, so that dragon was slayed right away. Meanwhile, Mikey White is plugging away in the Athletics chain, having been drafted in the second round last season. Next up are the School Colors subset and ANOTHER guy I've heard of - hey, we're doing alright here. I was sort of selfishly rooting for the Cubs to select Tyler Jay in last year's draft, being that he's a local kid (Hinsdale, IL) and pitched for the University of Illinois. I wouldn't consider myself a fan of the Fighting Illini, per se; however, it would have been cool to see the local kid go to school locally and then play professionally locally as well. Chris Shaw was drafted out of Boston College by the Giants in the first round of the 2015 draft, but I only know that thanks to Baseball-Reference.com. Here we have a couple of examples of the Old School Colors portion of the checklist and suddenly it's a Yankees hot box. I'm aware of both of these dudes because Refsnyder made the ultimate ascent after three years of seasoning in the minors and Judge has been noted as one of the top prospects in all of baseball since being drafted in 2014. My one complaint about Contenders is specific to this subset; why are the pictures black & white? Since the set is based those who played collegiate ball in the past (we go as far back as Frank Howard), I'm sure they thought using sepia toning in the pictures would create the aura of artificial age. While that's all fine and dandy if that's what you want to do, don't title the set Old School COLORS then. Oh hey - Dansby! You'd have to be living under a rock for the last several months if you've never heard of this dude. This nifty insert shines the spotlight on a specific game in which the titular player gave an otherworldly performance. In Swanson's case, that was June 8, 2015, when he went 2-for-4 with a homer to launch Vanderbilt into the College World Series. Even better, that was the same night he was drafted first overall. I'd call that a pretty good day. More importantly (to me) though, is that the uber-prospect is showing of those sharp Commodore pinstripes; funny, since I was just oozing praise over them on 2x3 Heroes last night. Serendipitous! Is that what I think it is? Is that actually an autograph from a random, impulse purchase of a single pack of cards? Hot dog! Andrew Stevenson isn't exactly a huge name, even though he was taken in the second round last season and batted .308 in the minors across three levels. This is probably due to the fact that he did all that in the Nationals chain and if you're name isn't Bryce over there, no one cares beyond the Capitol. Regardless, I'd still call this pack a win. There might not have been any Cubs prospects or players, but there were several men with collecting cache and an autograph. That's a pretty good day for any random pack of cards. If anything up there catches your eyes, I'm not wed to any of those cards. Just let me know in the comments section below. This made for a nice reward, indeed. That's great that you got a hit on a random pack! And now you know that the dealer doesn't pack search. 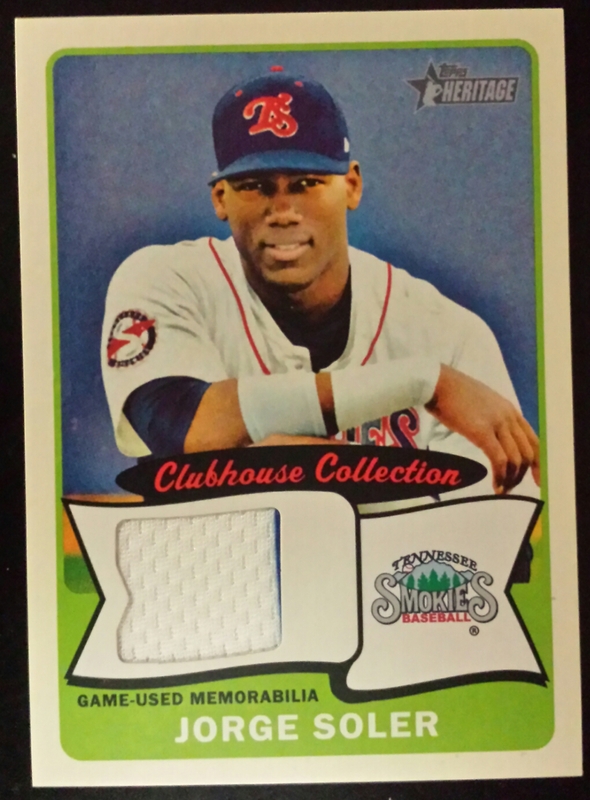 I just bought one of those "Old School Colors" cards on COMC the other day. I think the "colors" comes into play with the borders, as they're in school colors (and you happened to pull two schools with identical colors). I would guess that the photos are in B&W because they'd rather have "old school" photos than have half of the insert set in B&W (for the vintage players) and half in color. Nice pulls. I quite liked Contenders even though I didn't even buy a pack. There's just something inherently cool about seeing players in school uniforms rather than the usual badly photoshopped or airbrushed pictures on other cards.